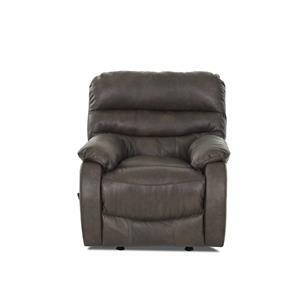 Add comfort to your home with a new swivel glider recliner. This recliner features plush padding all sides to completely cover you in comfort. With a swivel glider base you can add gentle movement to your seat. Kick back with your feet up to enjoy TV, a book or take a nap all from the comfort of this casual style swivel gliding reclining chair. 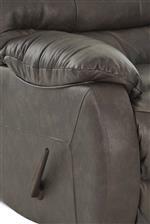 The Stillwater Casual Swivel Gliding Reclining Chair with Plush Pillow Arms and Padded Chaise by Klaussner at Hudson's Furniture in the Tampa, St Petersburg, Orlando, Ormond Beach & Sarasota Florida area. Product availability may vary. Contact us for the most current availability on this product. Comfortable and casual, this collection of reclining furniture can create a space in your home where you love to hang out and relax. Upgrade to power recline to gently sit back with the simple press of a button. Style elements include attached and heavily padded seat backs, pillow arms and padded chaise footrests for head to toe comfort. The Stillwater collection is a great option if you are looking for Casual furniture in the Tampa, St Petersburg, Orlando, Ormond Beach & Sarasota Florida area. Browse other items in the Stillwater collection from Hudson's Furniture in the Tampa, St Petersburg, Orlando, Ormond Beach & Sarasota Florida area.